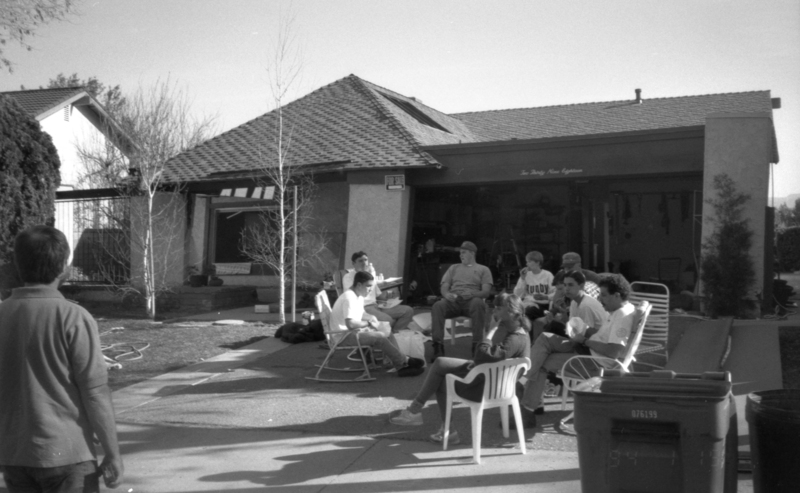 January 19, 1994 — Members and friends of the Cronan family gather in the driveway of their home at 23918 Via Onda. Homeowner Stuart Cronan is seated at right. Via Onda, a cul-de-sac in the Valencia Hills subdivision, was a mess. Single-family homes on the south ("view") side of the street, built in 1969, took a beating in the Sylmar (aka San Fernando) earthquake of Feb. 9, 1971. Homeowners sued the merchant builder, Brock Homes, alleging the houses had been illegally built on half-fill dirt, half cut (or "natural" hillside). Brock paid for repairs. 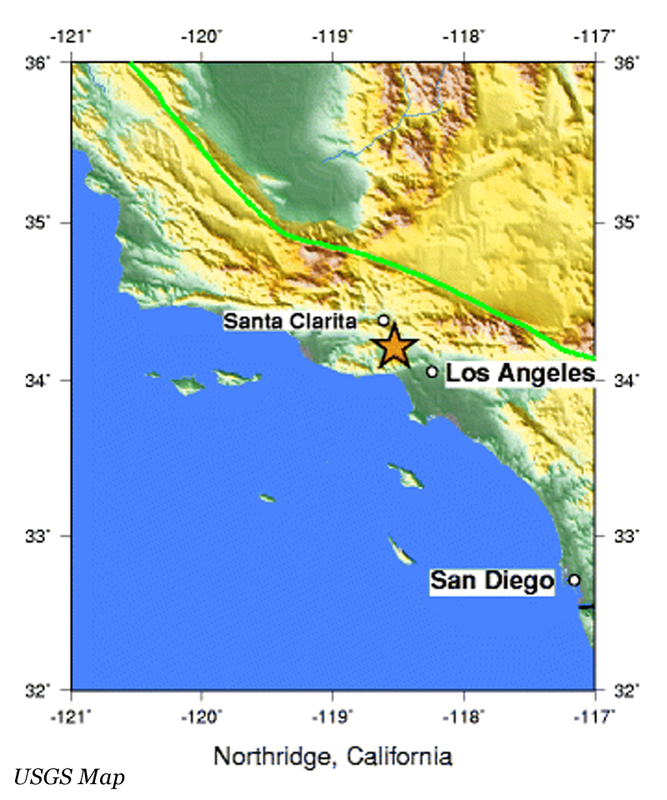 Many of the same homes that were damaged in 1971 were destroyed in 1994 when the shockwave of the Jan. 17 Northridge earthquake bounced off of the hillside. The Stuart and Patricia Cronan family, whose one-story house at 23918 Via Onda was "red-tagged" (condemned), persuaded the barely 6-year-old city of Santa Clarita to pay for demolition on grounds the structure was a public hazard. They moved away (to Reno) and a brand-new house was built in 1999 for a new property owner. Next door (to the right/west) at 23924 Via Onda, cityhood campaign co-chair Connie Worden-Roberts' two-story home was a total loss. The insurance company eventually paid off, drove pylons deep through the fill dirt and into the underlying bedrock, rebuilt the house on top of the pylons, and sold it to a new owner. LW9410a: 19200 dpi jpeg from original photograph (35mm BW negative) by Leon Worden.